In this short video I will offer you a short Ayurvedic inspired yoga evening routine for anxiety. According to Ayurveda, a five thousand year old sister system of medicine to yoga, anxiety is a common experience for vata dosha, but the truth is we all experience anxiety from time to time in our lives. At the beginning of this video we will explore what anxiety is and how it arises in our bodies. From there I will offer you some ways to meet the experience of anxiety in your body from the safe and comfortable environment of your home. 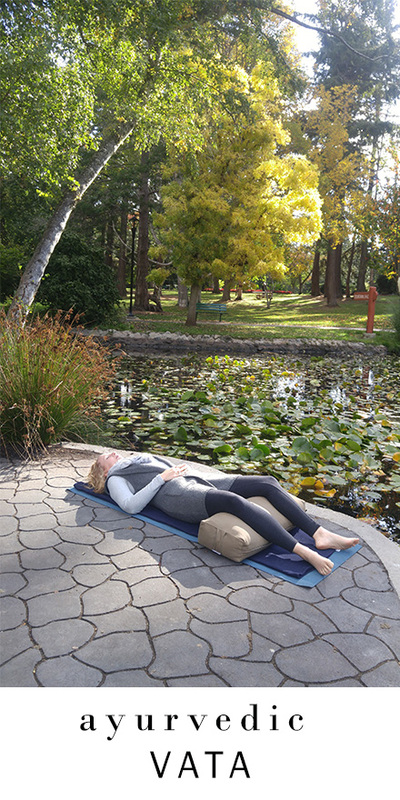 For this guided body scan you will need a yoga mat, a blanket, a bolster for underneath your knees and an eye pillow. The guided body scan in savasana lying on the ground will allow you to connect with the sensations in your body in a grounded and secure way.